In this tutorial, we will walk you through the Wiki.js version 1 installation process on a CentOS 7 operating system by using NGINX as a reverse proxy server, MongoDB as a database server, PM2 as a process manager and optionally you can secure transport layer by using acme.sh client and Let's Encrypt certificate authority to add SSL support. Node.js 6.11.1 to 10.x is required. MongoDB version 3.2 or later. Git version 2.7.4 or later. An empty Git repository (optional). Minimum of 512MB RAM. 1GB of RAM recommended. About 300MB of disk space. 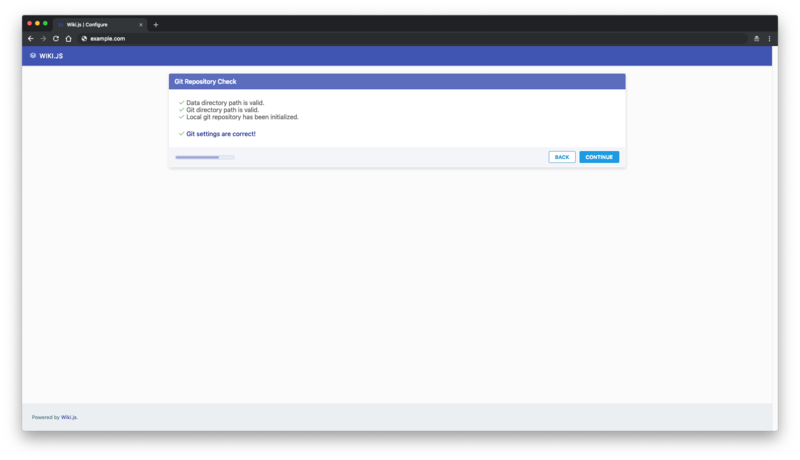 Domain name with A/AAAA DNS records set up. A CentOS 7 operating system. A non-root user with sudo privileges. 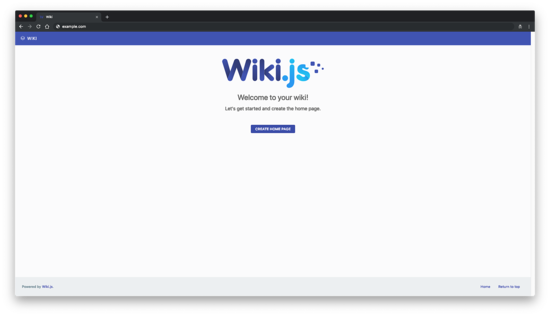 Wiki.js is built on Node.js. We are going to install the latest recommended version for Wiki.js which is version 10 at the time of this writing. On Linux, you have a few Node.js installation options: Linux Binaries (x86/x64), Source Code or via Package Managers. We will use a Package Management option which makes installing and updating Node.js a breeze. NOTE: npm is distributed with Node.js - which means that when you download Node.js, you automatically get npm installed on your system. This command will update npm to the latest stable version. And it should return the latest version number. Wiki.js needs a database to store its data, and the current stable version of Wiki.js supports only MongoDB database engine. According to that, we will need to install MongoDB database. Create a /etc/yum.repos.d/mongodb-org-4.0.repo file so that you can install MongoDB directly using yum. Securing your website with HTTPS is not necessary, but it is a good practice to secure your site traffic. In order to obtain an SSL certificate from Let's Encrypt, we will use acme.sh client. Acme.sh is a pure UNIX shell software for obtaining SSL certificates from Let's Encrypt with zero dependencies. If you want fake certificates for testing you can add --staging flag to the above commands. Create folders to store your certs. We will use /etc/letsencrypt but it can be anything you prefer to store SSL certs. Install/copy certificates to /etc/letsencrypt directory. --reloadcmd "sudo systemctl reload nginx.service"
All the certificates will be automatically renewed every 60 days. Wiki.js (or any HTTP Node.js app) can run without any actual web server (such as NGINX or Apache). However, it is highly recommended to put a standard web server in front of Wiki.js. This ensures you can use features like SSL, multiple websites, caching, etc. We will use NGINX in this tutorial, but any other server will do, you just need to configure it properly. Run sudo vim /etc/nginx/conf.d/wiki.js.conf and configure NGINX as an HTTPS reverse proxy. The only thing you need to change in the above config is server_name directive, and potentially proxy_pass directive if you decide to configure some other than 3000 port. Wiki.js uses port 3000 by default. NOTE: Replace your_user in the above command with your non-root user that you should have created as a prerequisite for this tutorial. Once the installation is completed, you'll be prompted to launch the configuration wizard. Using your web browser, navigate to http://example.com and follow the on-screen instructions. All settings entered during the configuration wizard are saved in the config.yml file. The configuration wizard will automatically start Wiki.js for you. Next "System Check" page will appear. If all requirements are met, click on the "Continue" button. 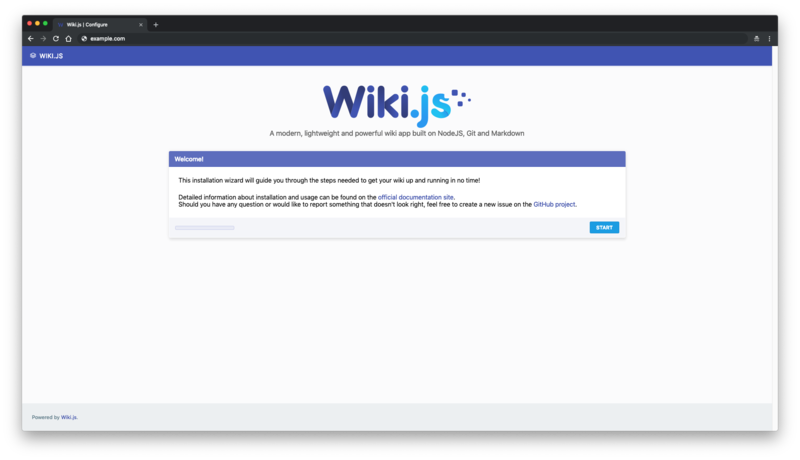 By default, Wiki.js will not start automatically after a system reboot. In order to make it start on boot, we need to setup PM2 process manager. PM2 comes bundled with Wiki.js as a local npm module, so we don't need to install PM2 globally. Your Wiki.js now runs as a background process, using PM2 as its process manager.